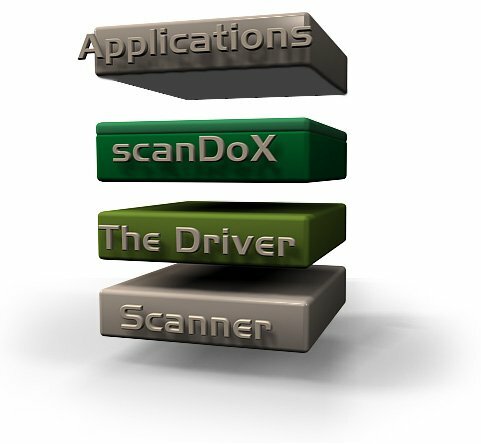 This picture illustrates the design and the layers of scanDoX. Click on one of the layers to get more information about it. If you are familiar with windows and scanners or digital still cameras you might know the TWAIN-interface. It’s the link-layer between the application (like Photoshop or an OCR) and the scanner-hardware. SANE is basically the same for Linux.